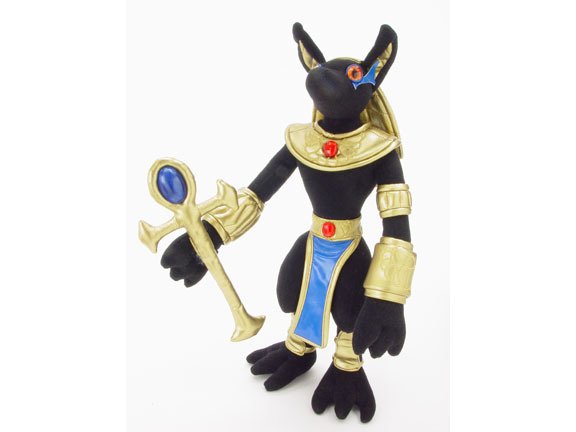 This 12 inch tall handsome Anubis plush doll is perfect for your childs Egyptian school project, or for any collector. He's holding an Ankh. Extremely well made.